A pink slip was exactly the push franchisee Steve Rattner needed to get him started with FirstLight HomeCare. Once unfulfilled as part of Corporate America, he now heads a successful and growing home care organization that reflects his passion for helping older adults live full, independant lives. And one of the best parts of the job? Hiring great people who share his beliefs to work alongside him. 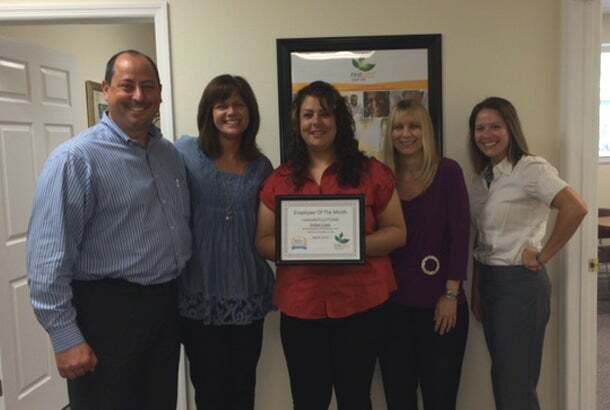 Franchise owned (location): FirstLight HomeCare in Clearwater, Fla.
How long have you owned a franchise? Almost three years. I like the idea of a franchise for many reasons. For instance, you can rely on the franchisor’s expertise to ramp up your business quickly with plenty of resources already in place. I also like the support I get from a franchise -- the network of other owners who are going through similar issues and challenges. I network with our owners across the country on a consistent basis. We share ideas and solutions to problems with each other. We're a family. Prior to owning my FirstLight HomeCare franchise, I was in Corporate America. I spend the past 13 years with a global health care organization. In April, 2012, our organization went through a reorganization, and I was laid off. That was the push I needed to help me discover my entrepreneurial spirit and follow my dream of owning my own business. Our agency now employs more than 100 people in our market, and that makes me feel good. Putting great people to work is an amazing feeling. Prior to starting FirstLight HomeCare, I spent about two years researching different industries and business models. I chose this particular industry based on my experience caring for my grandmother, Nana. As a young man, I learned how vulnerable older adults are as they fight to remain independent. So many older adults have no one around to help them. Their children may be living across the country, but even if they live close by, their grown kids may be working full-time jobs and caring for children of their own. It's very hard on the adult children, as their parents wish to age in place and remain independent. They need help and resources to make this happen in a safe, affordable way. After researching many opportunities in this space, including independents, re-sales, etc., I chose FirstLight HomeCare based on the integrity and experience within FirstLight’s leadership team. They were the first and only company that asked me “why” I wanted do this type of work. They really made me think about my passions and belief in always doing the right thing for people. It wasn’t just about money and growth -- they made it personal, which I liked. To me, this is personal. Our startup costs were more than $100,000 for the first year. Rent = $800 / month (first two years). We're now in a larger office. For almost two years, I researched this industry. I looked at buying existing agencies in my market that were for sale, both franchise and independent. That process allowed me to learn tons of great information. I also made contact with about a dozen franchise models and spoke with them about the business opportunity and what makes their model unique. I spoke with many potential referral sources about the industry and learned what they liked and disliked about this type of business. I also relied on many friends who own successful businesses, and they gave me sound advice on what to expect. Becoming a licensed and accredited agency was very challenging, especially since I'd never been through it before. You never really understand it until you do it yourself. With the support of the franchisor and other owners who've been through it in our state, we were well prepared. I’m actually glad how challenging the process is, because it weeds out people who aren't serious about getting into this business or those who aren't in it for the right reasons. Three things come to mind. First, hire the right people, and be a leader. This can be a great experience if you hire loyal, talented employees who share the same values and are aligned with your vision for quality service. Our staff is amazing, and I couldn’t do this without them. Next, do your due diligence and don’t settle on a franchise system just because you need to work quickly. Selecting the wrong system can set you back in many ways. Take your time and really look into the details. How long has the franchisor been in business? What type of training and support do they offer? Talk to other owners in the system, and ask the tough questions up front. Know what the “real” costs are vs. the estimated costs from your franchisor, and don’t underbudget. Estimate your expenses on the high end, including plenty of working capital to get your business off the ground. Be prepared to work hard, but also take time to enjoy the ride. It’s an amazing journey and it's very rewarding. Last, if you plan on going into business with your spouse -- as I did -- separate your roles and don’t cross over. Identify what each of you are good at and make that your role. Since your business can consume your life, make a plan to “turn it off” once you, for example, drive by the stop sign in your neighborhood. Enjoy your life outside of the business. Since starting our agency in 2012, we purchased an additional two territories in our market, and we're in the process of developing those. We recently hired a community liaison, a human resources manager and a second schedule coordinator to support our operations and growth. The future is very bright for us at FirstLight HomeCare, and we look forward to serving our clients as the demand for this type of service continues to grow.